Prepare to die in lots of adorable ways next summer. As a child watching reruns of old Mickey Mouse and Popeye cartoons, I constantly thought to myself, "Boy, this aesthetic sure would lend itself to a co-op arcade shooter with a touch of occultic charm", and up until yesterday, my dream was almost within reach. I could practically feel my grip tightening around my controller as a hand-drawn foe murdered me for the forty-ninth time. 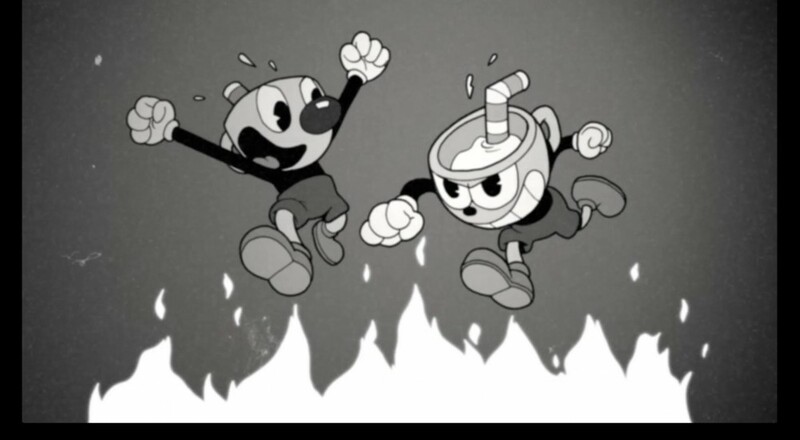 Alas, it appears Cuphead's blend of 1930's animation and comically tough gameplay will be eluding us for a few months more. It's been a few months since developer Studio MDHR revealed its expanded vision for the game, moving from a simple boss rush campaign to one including extended platforming levels, and they seem dedicated to ensuring that scope. So much so, in fact, that they've made the decision to delay the game into mid-2017. To catch a glimpse at what the gameplay will look like upon release, check out their E3 2016 video below. It's unfortunate for those of us looking forward to Cuphead's manic local co-op, but hey, Studio MDHR only gets one shot at this, so they might as well make sure it's up to their standards. Now that we have a little bit of time before release, let's discuss the matters of greatest importance. Namely, are you Team Cuphead or Team Mugman? I'm more of a Mugman kind of guy, personally, but I'm willing to hear arguments to the contrary (and immediately dismiss them). Let me know who you're leaning towards in the comments! Page created in 0.6799 seconds.